Like most seven-year olds, Quannah Duquette was a little nervous about his first day of school. But after just a few minutes, his mother Tasha Hubbard noticed that it might more than just the average jitters. “He got a look on his face and I knew there was a reason for it." she said. "I said, 'Is it because of your hair?' And he said, 'Yeah... I like my braids, they make me feel good but I’m just scared that I’m going to get laughed at.'" It’s a conversation they’ve been having a lot lately. Hubbard says that since Quannah started to grow his hair out, people have begun mistaking him for a girl and he recently asked if he could cut it. She asked her son to take some time and think about it before making such a big decision. "A lot of men in my family wear their hair long so I understood that to be a source of our strength as a people. Also the historical context that for a long time that wasn’t allowed that children upon going to residential school had to have their hair cut. 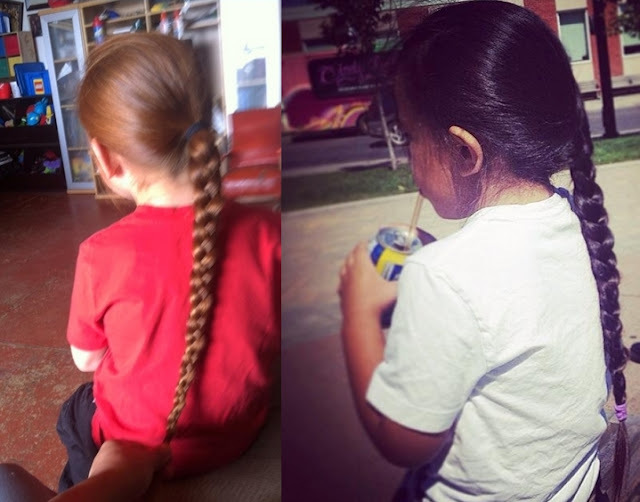 So I wanted my son to have long hair." 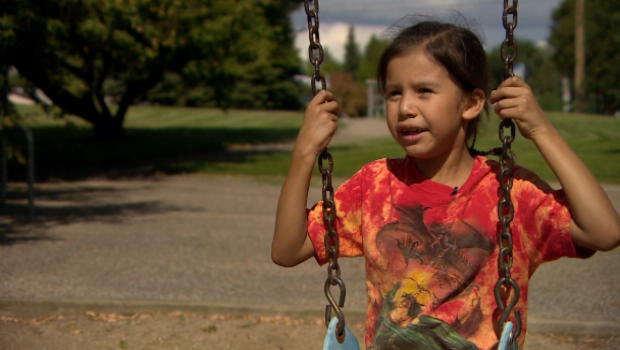 But she also worried because he was teased and bullied in the past at a different school in Saskatoon. So Hubbard turned to Facebook and asked other parents for advice. 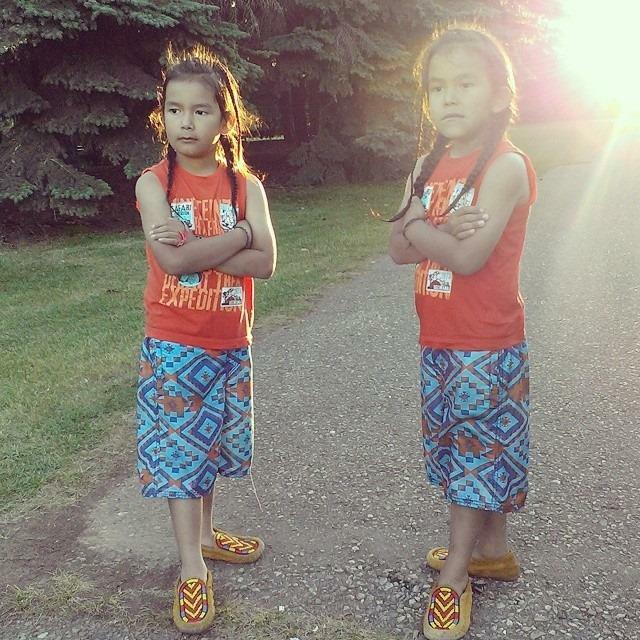 Her post quickly generated a lively discussion from other First Nation parents who were struggling with similar issues. Azure Johnson is one of them. Her twin sons are six years old and traditional pow wow dancers. She says they sometimes ask to cut their hair but she thinks it’s important for them to wear it long. "It’s a sign of showing others my culture and that I’m proud of who I am and I want my boys to be proud of who they are." Johnson says she wasn't raised with that culture so it's especially important for her children. "As they get older, they’ll be able to withstand the stuff they’re going to deal with because they’re going to deal with racism and stereotypes and discrimination and ignorance. If I start [teaching] them to embrace their culture, maybe it won’t be so tough for them as it was for me." But others on Facebook think the decision should be up to the kids. 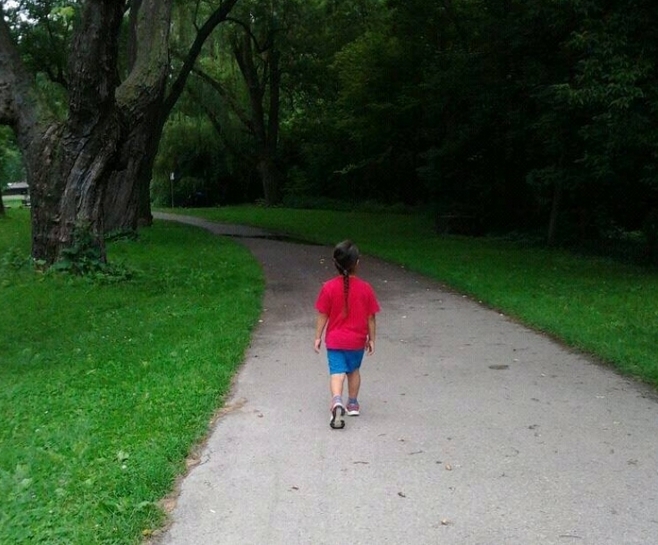 Terri Moore wrote: I allowed my oldest son the wear his long hair until he was 3. His dad believed it was natural and was to our tradition, until he (my son) started to cry when people would mistake him being a girl. Still I continued and it came to a point where he begged it to be cut. Once cut a happier child. I believe its up to the kid whether he wants his hair cut or left long and we shouldn't push our traditions on the kids. Hubbard, who is also a filmmaker, says the debate has inspired her and Quannah to make a documentary on the subject and at least for now, Quannah says he will keep his braids. Responses to "Native American Boy Teased At School Because Of His Long Hair"
My 7 yr old son is 1/4 Navajo & Apache, 1/4 Mexican, and 1/2 white, being raised by me (white) in a non-Native area. Since he was old enough to speak he has refused to cut his hair. He likes wearing it long. When people call him a girl he just politely corrects them. When he was teased we discussed cutting his hair, but to him keeping his hair long was more important than not being teased. He is proud of his long hair, even tho he doesn't know why it is so important in his heritage. I can't understand why people can't see that its not a trend, they aren't girls and it is just reflective of their culture. I think it is beautiful when people retain who they are and are proud. I live out here in Hawaii and you know what plenty of men here have long hair and it suits them fine. People need to get off their high horses and quit judging and focus on themselves. Long hair, Short hair, Medium hair, it is no one's business but from the scalp of the person growing it. KEEP GROWING IT!!!! We have the same problem with our Lakota boys in rural NC. We leave the decision to them. They are 6 & 7, and some of the other white boys their age could not be more cruel. Our boys somehow remain passive, but not so much poppa bear! !